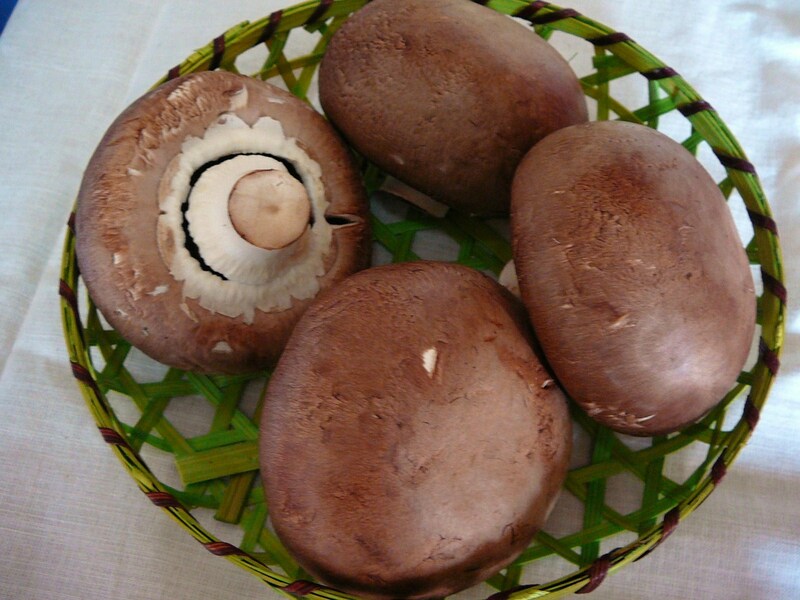 I was given a few enormous Portabella Mushrooms the other day among a batch of mushrooms sent to our office at Agrigraph.! 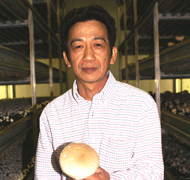 They are grown by Mr. Mitsushi Hasegawa in Fuji City at Hasegawa Garden/長谷川農園. To give you a better idea! 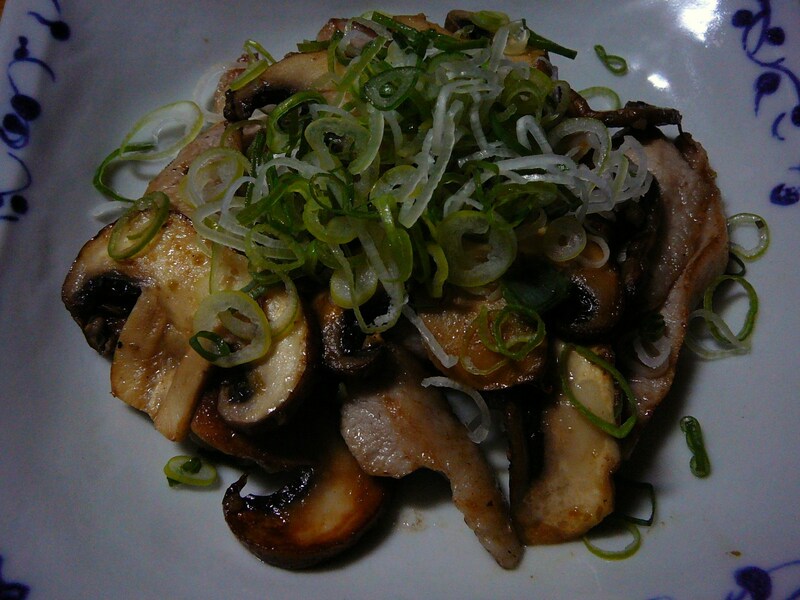 After last week’s stuffed mushroom-style recipe, the Missus (without me…) came a different recipe: “Ton toro” pork sauteed with Portabella Mushrooms and Yuzu Koshio! 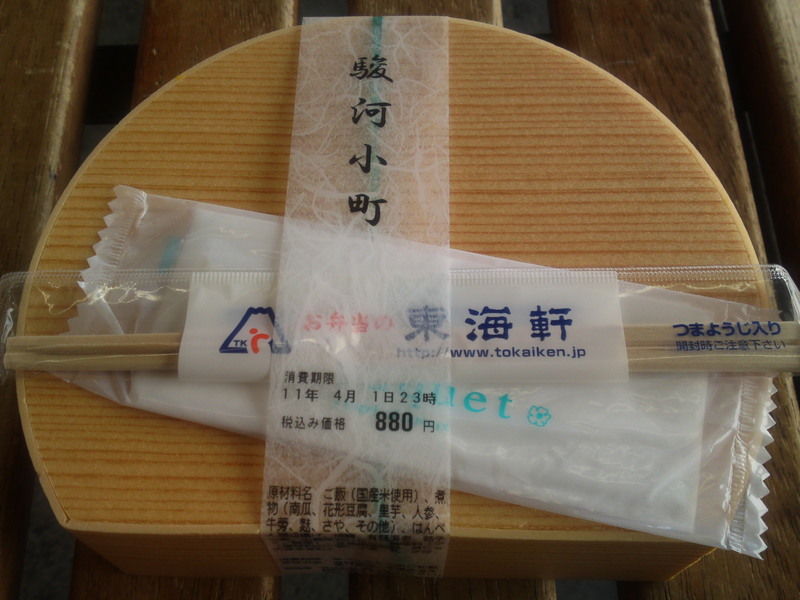 “Ton toro” means that it is pork of higher quality, quite whitish in color, reminiscent of tuna “toro”! 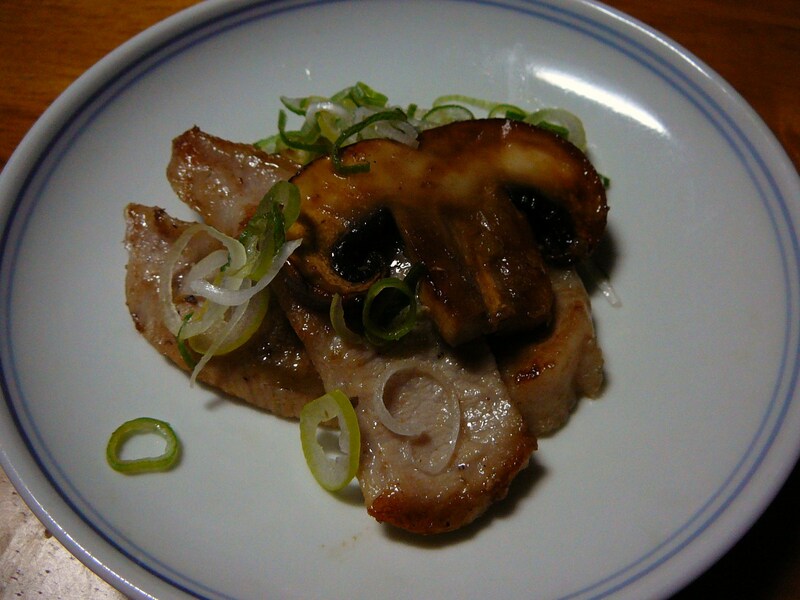 The Missus first started frying the sliced ton toro pork with a little olive oil and yuzu koshio/lime and pepper paste. 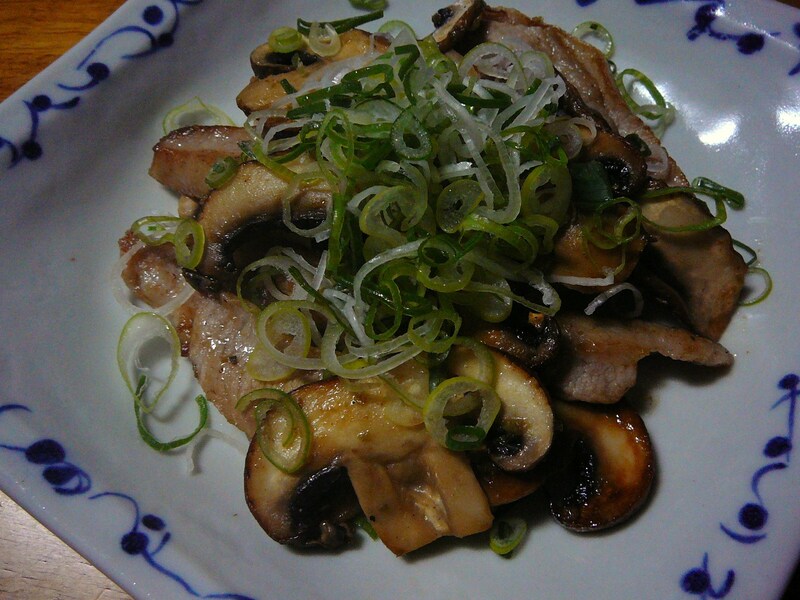 She then added one sliced mushroom when the pork had started changing color. 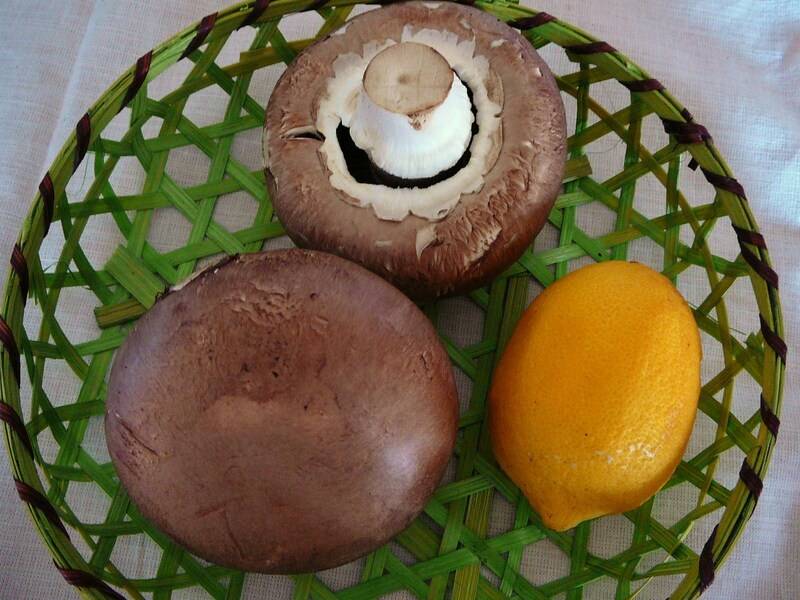 She fried the whole until the mushroom was properly cooked. 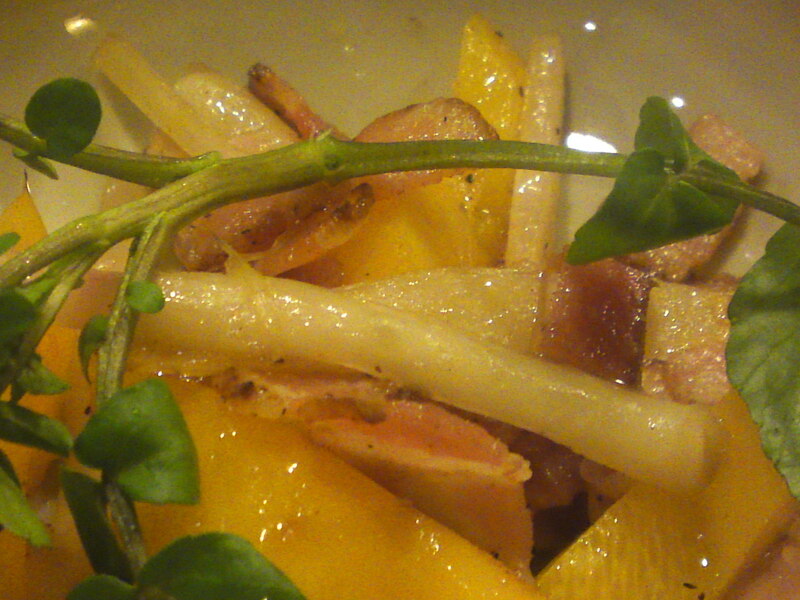 The juices of the mushroom mixing with those of the pork meant there was no need for extra seasoning as the yuzu koshio paste contained enough salt. 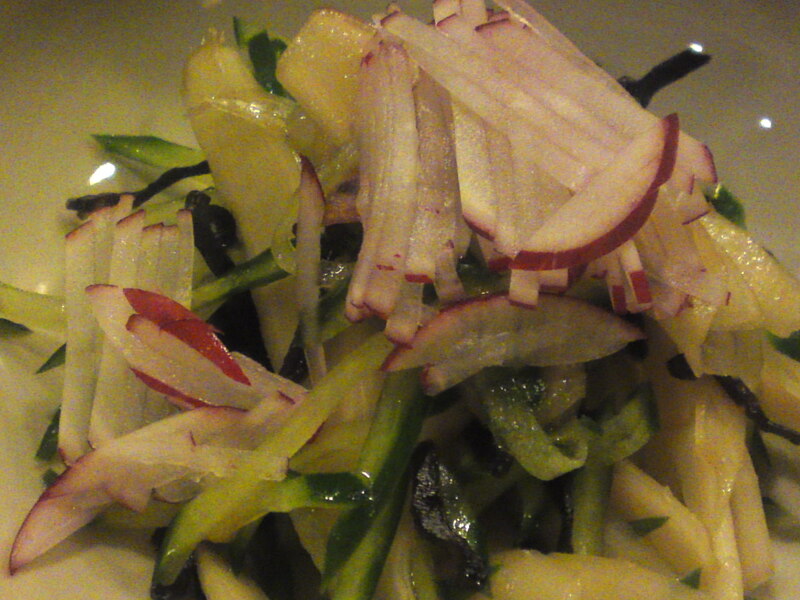 Served with chopped leeks/scallions, a great appetizer (or main dish!)! 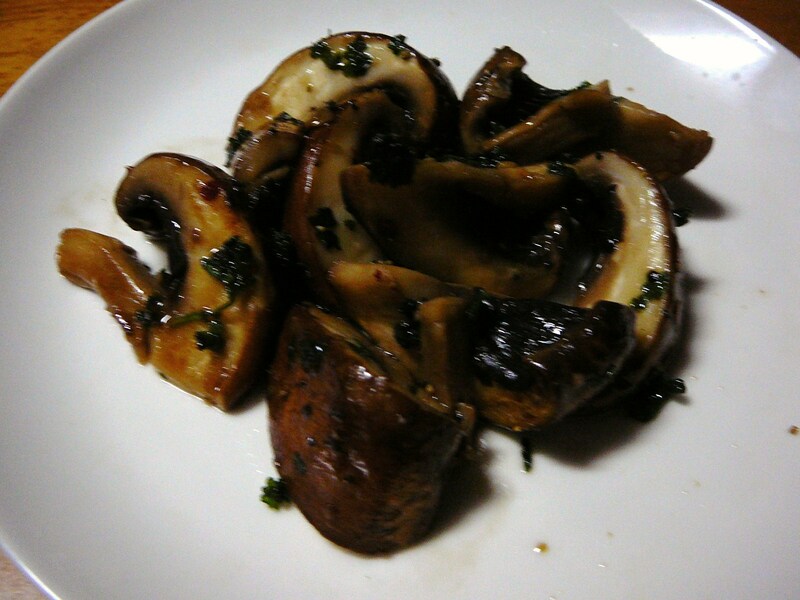 As we were left with one more mushroom, the Missus cut it in small quarters, fried it in olive oil and a little white wine, salt and pepper before adding the finishing touch with chopped parsley. 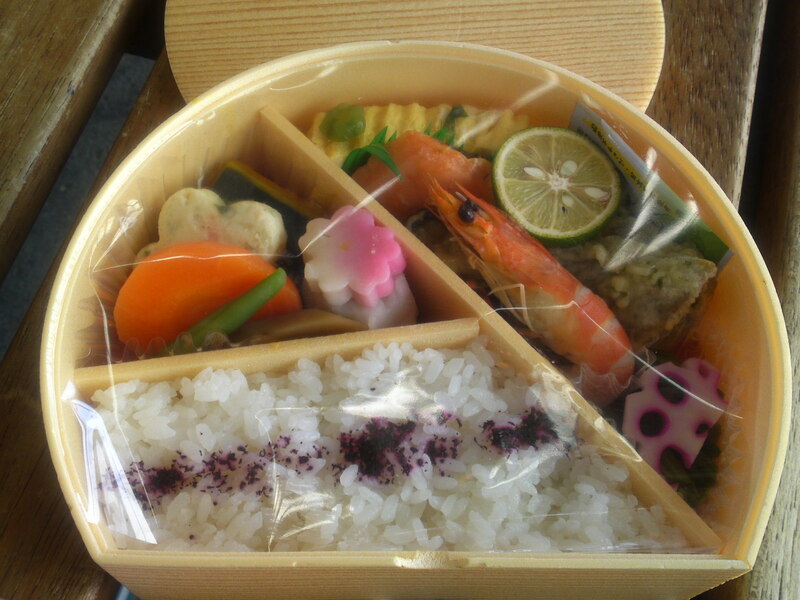 On my way to Fujinomiya City yesterday, I took the opportunity to buy an “Ekiben/駅弁 or roughly translated a “Railway Station Bento” as I had little time to eat properly at home or at a restaurant! Shizuoka Prefecture is a gold mine when it comes to Ekiben due to the larger than usual number of stations (I mean railway, not underground/subway as in Tokyo!). 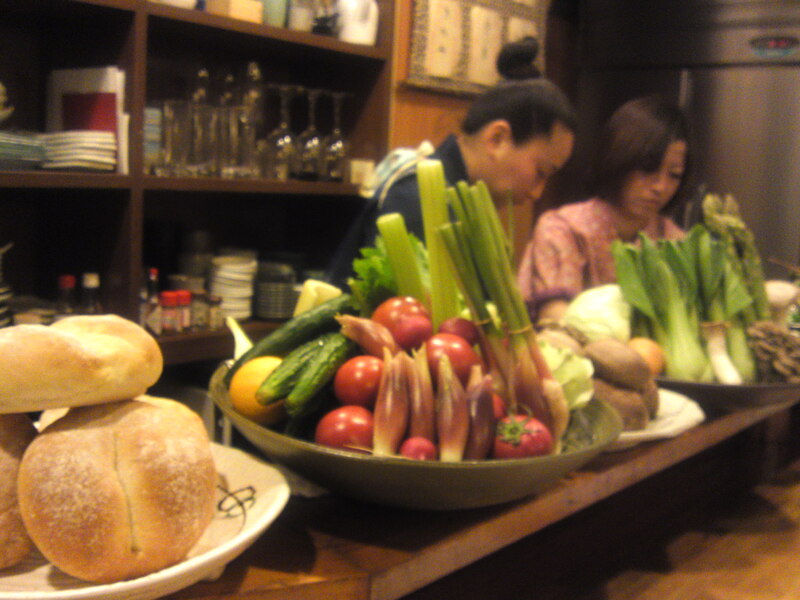 They are worth discovering as they are using mostly local ingredients. 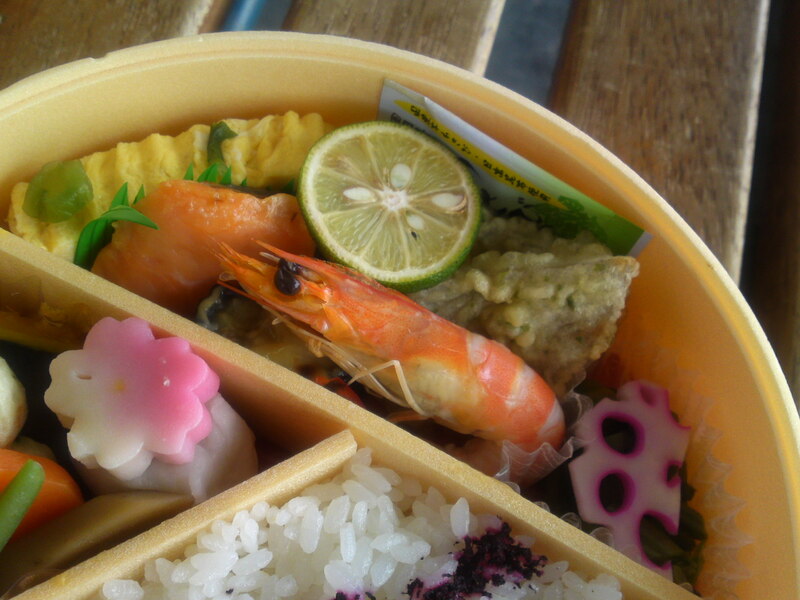 The bentos available at Shizuoka Station are mainly prepared by Tokaiken Co. 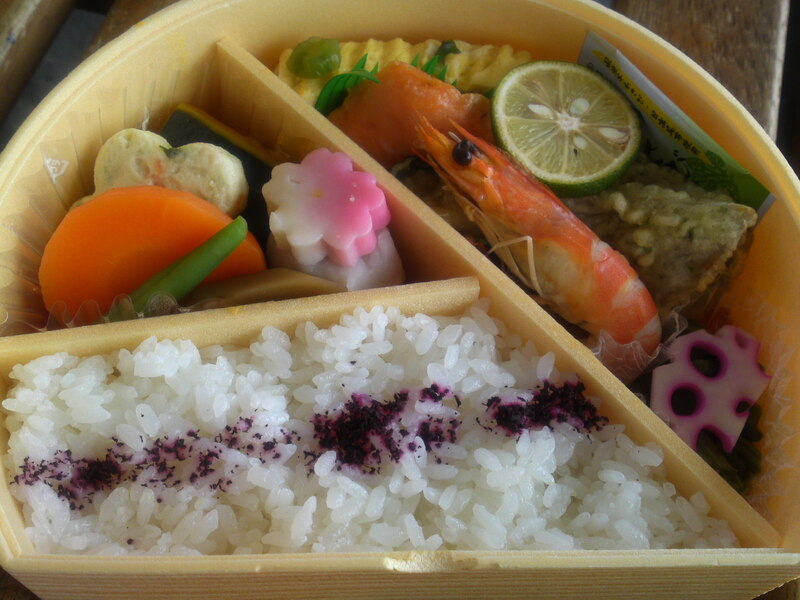 This ekiben is brand new as it was first put on sale yesterday, April 1st! 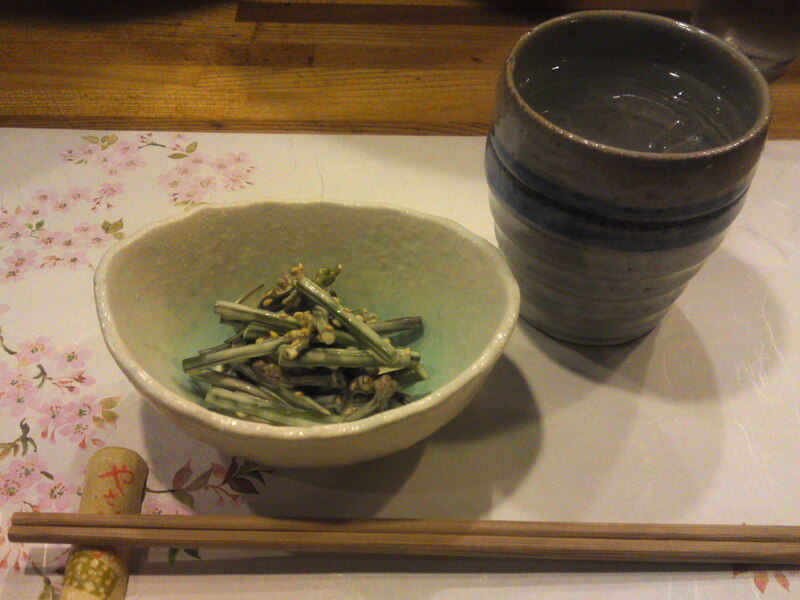 It is called “Suruga Komachi/駿河小町”. Suruga is thename of the vast bay off Shizuoka City. It is limited to only 20 a day! 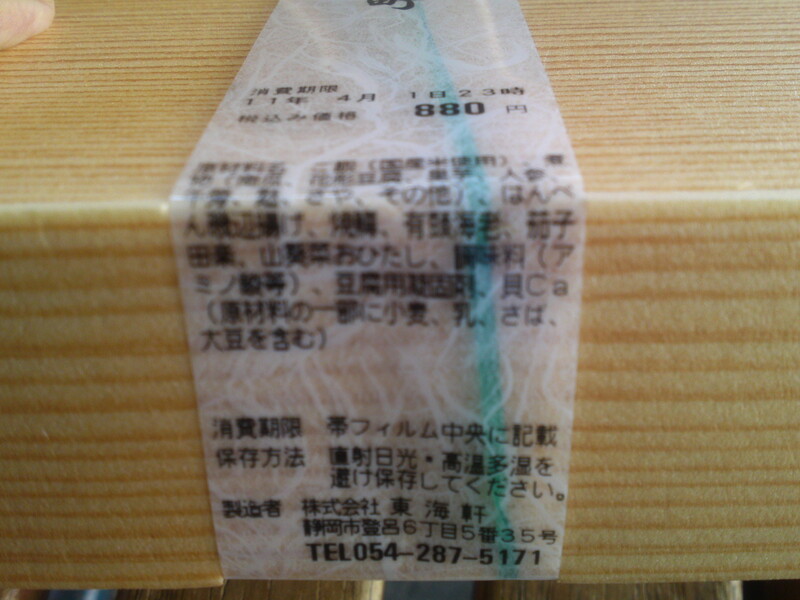 Contents, limit date, price and so on are always clearly indicated! As you lift the lid you find that the food inside is protected with an extra piece of hard translucent paper! Now, what did it contain? Tamagoyaki/Japanese omelette, sauteed salmon, a slice of yuzu/lime, kuro hanpen/dark sardine paste/isobe age/kind of tenpura, boiled shrimp, egg plant, pickled lotus root and wasabina ohitashi/pickled wasabina. 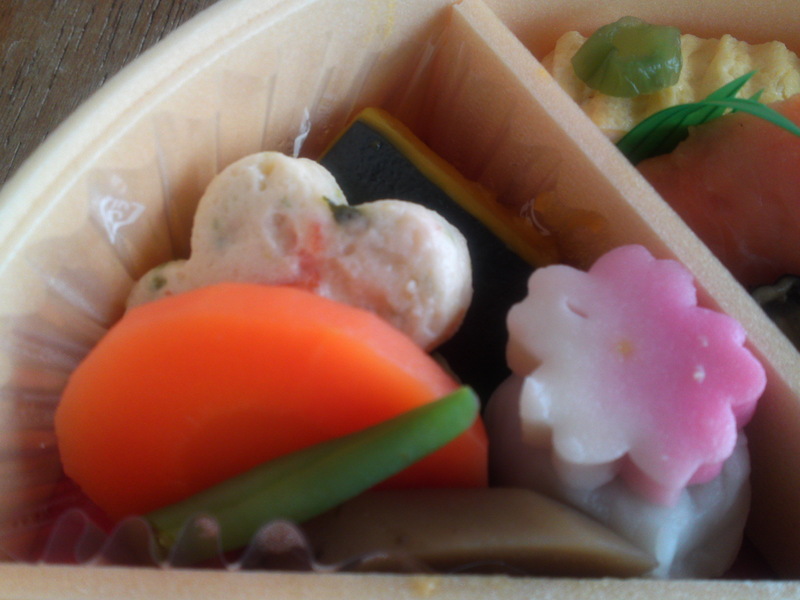 Burdock root/gobo, Boiled string bean, boiled carrot, boiled taro/sato imo, flower-shaped tofu, tofu cake and boiled kabocha. 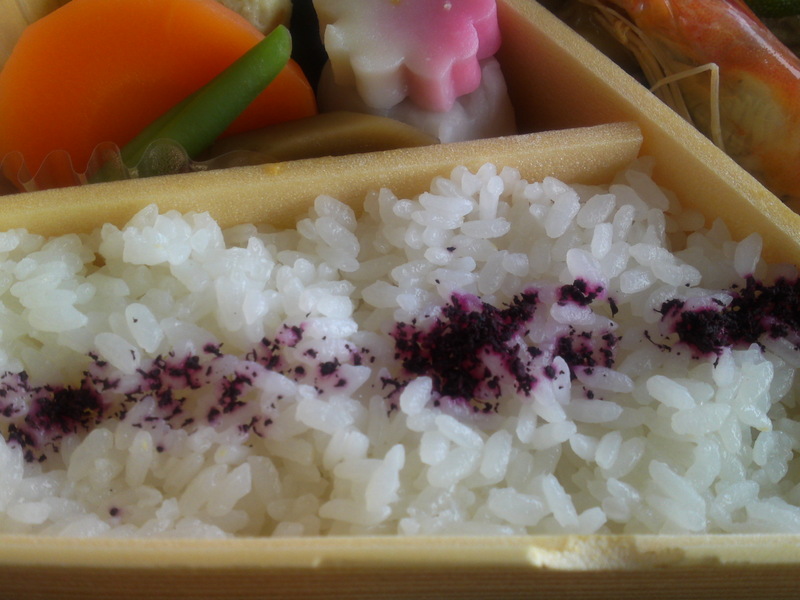 Plain boiled rice with umeboshi furikake. 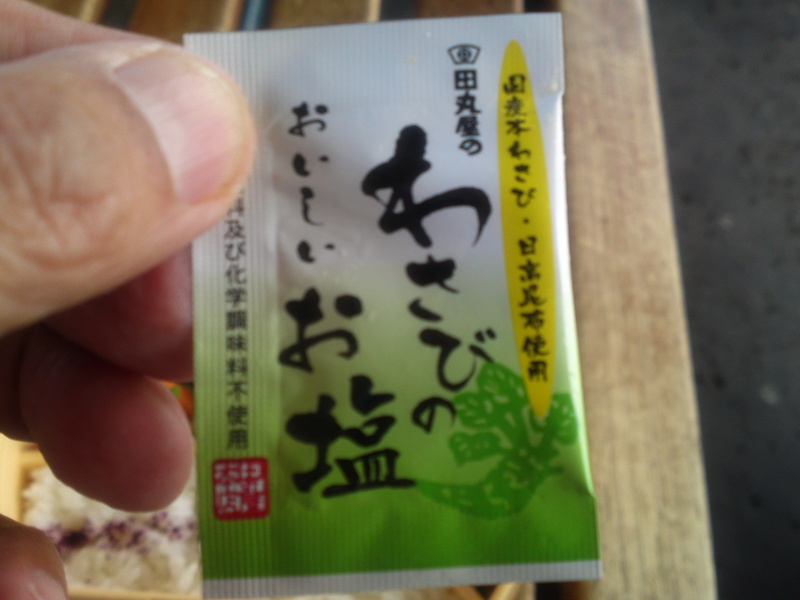 And a small sachet of Shizuoka salt and wasabi powder for extra seasoning! Will see you again on my next trip! 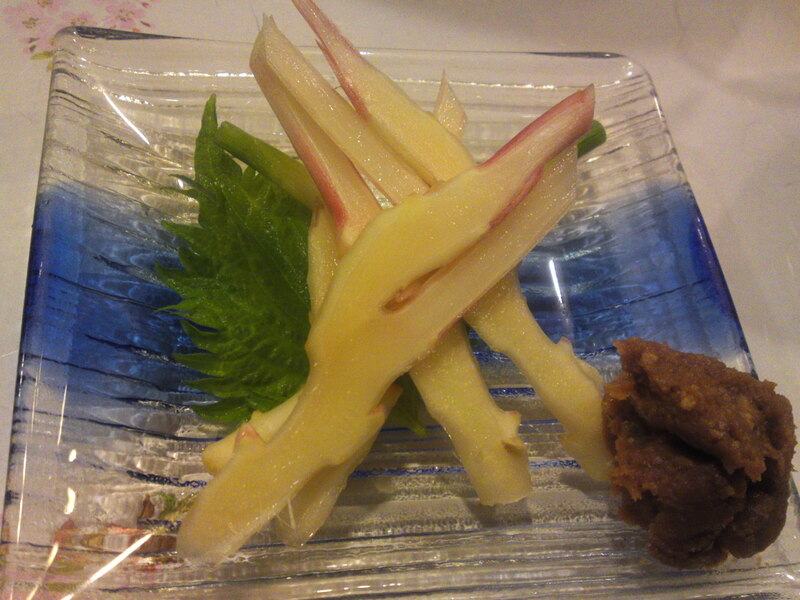 Shizuoka Agricultural Products: Hatada Garden Leaf Ginger at Mando! 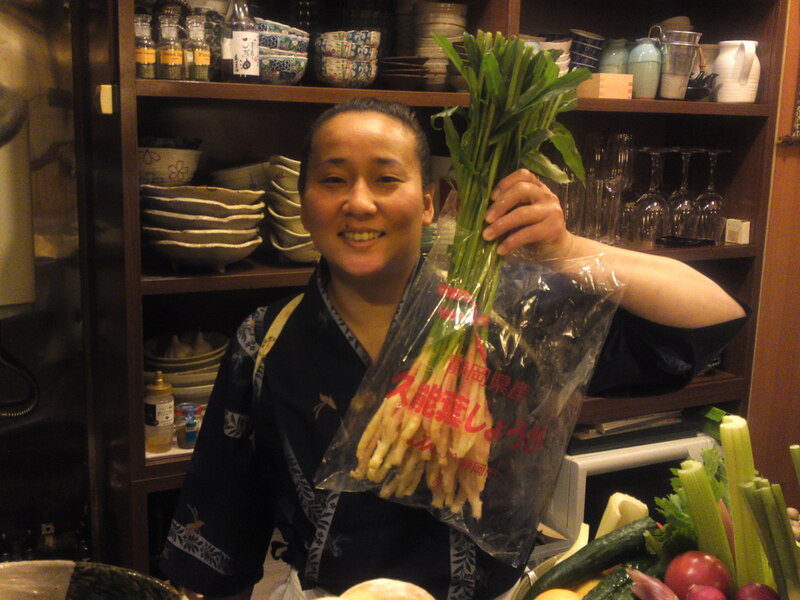 There are many Shizuoka products worthwhile introducing not only to the general public but also to restaurants who work hard promoting food originating from our Prefecture. 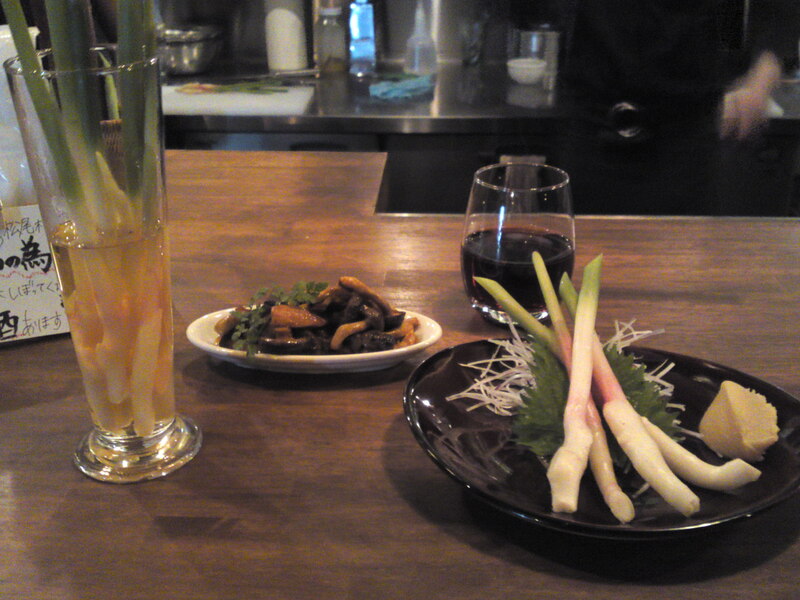 One such place is Mando in Shizuoka City! 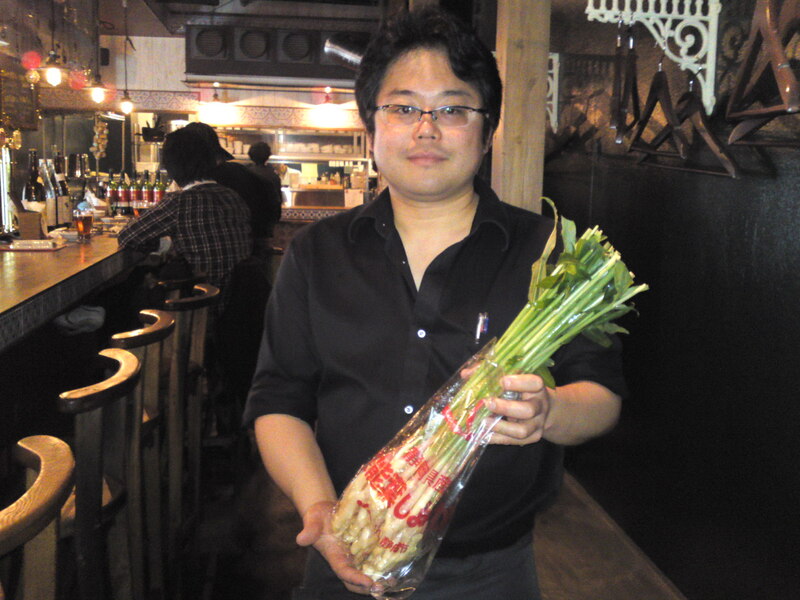 Mando, Neo-Japanesque Bar, is the third restaurant of the BECK Co., Ltd with Cafe & Bar Cherry Beans and World Beer Restaurant GROW STOCK. 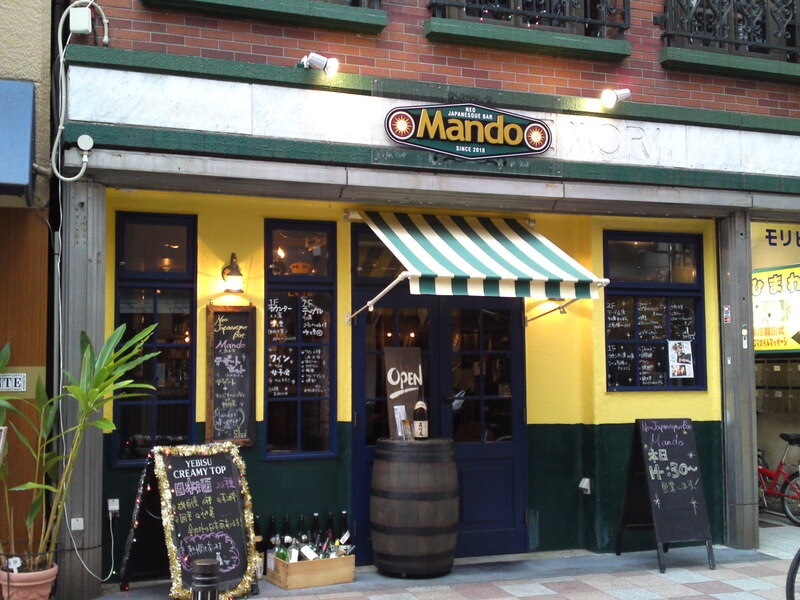 Mando is particularly interesting to me as they serve food in tapas style and are always looking for new products. 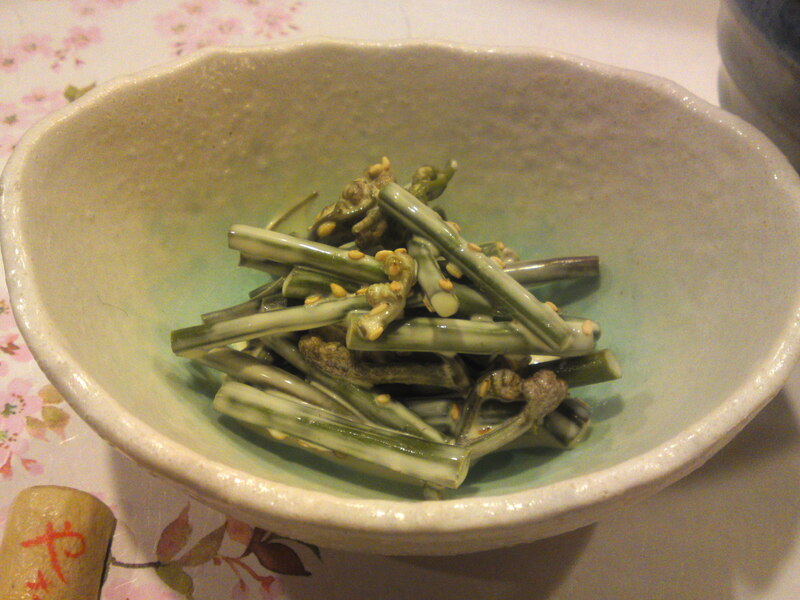 After having interviewed Toshikatsu Hatada/畑田敏克 at Hatada Garden/畑田農園 in Kuno/久能 in Shizuoka City, I called Mr. Hirai to tell him I was bringing fresh leaf ginger and I wished him to create some dishes with it. He genially agreed and I was no my way to his restaurant! Mr. Hirai usually does not work inside the kitchen, although he is a fully-qualified chef, but he wouldn’t let anyone taking care of a product he knew, but not that of a producer he was aware of. 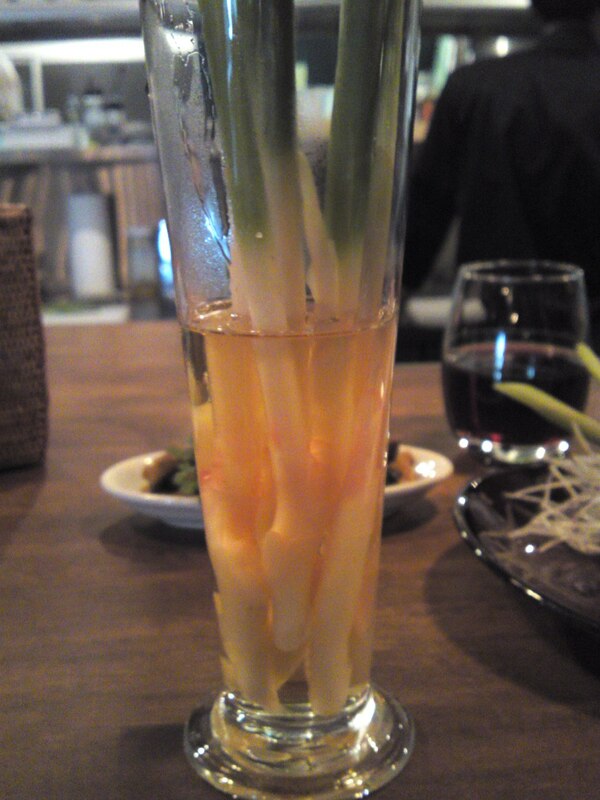 He marinated some of the fresh leaf ginger into hot amazu/sweet vinegar for later use, although it could be eaten right away as a snack with a drink, which I did. beautiful combination, like eating a dessert on a stick! 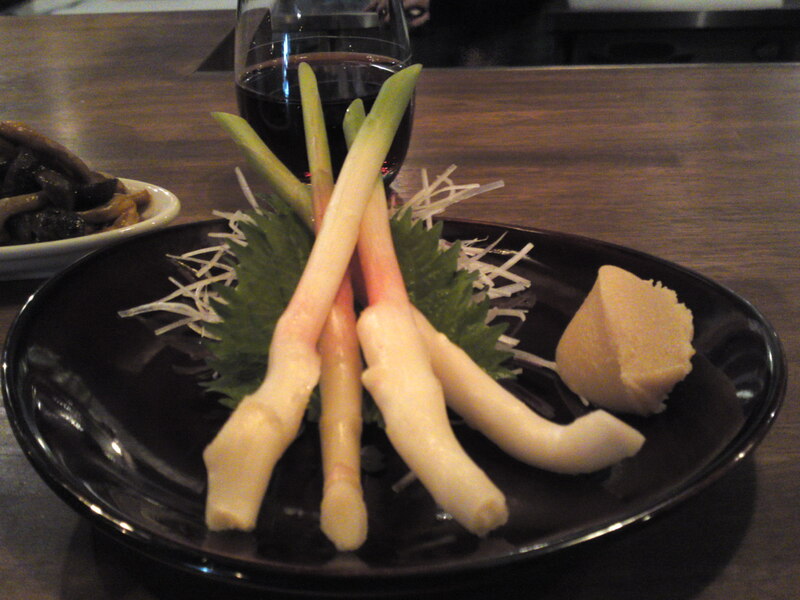 The Japanese love their leaf ginger fresh as they are with some miso paste. 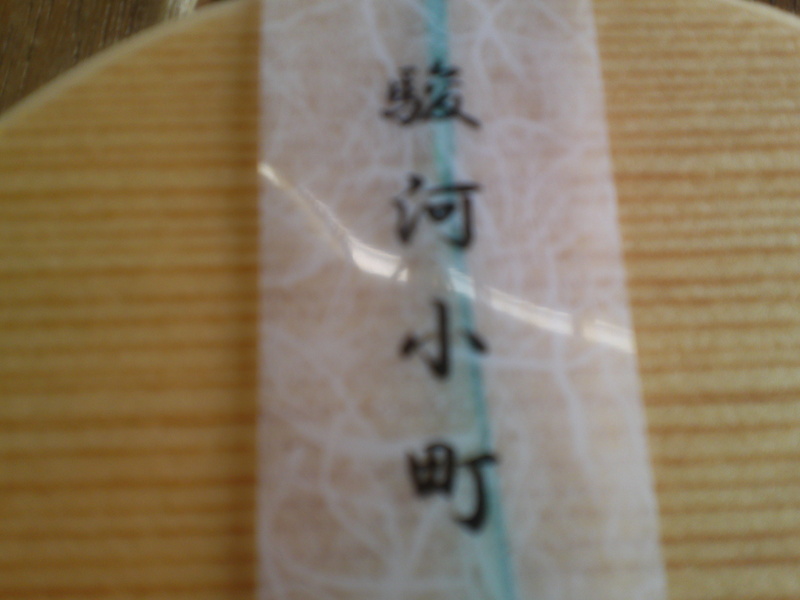 Mr. Hirai served some to me with white sweet miso. They didn’t last long! They go well with any drink! 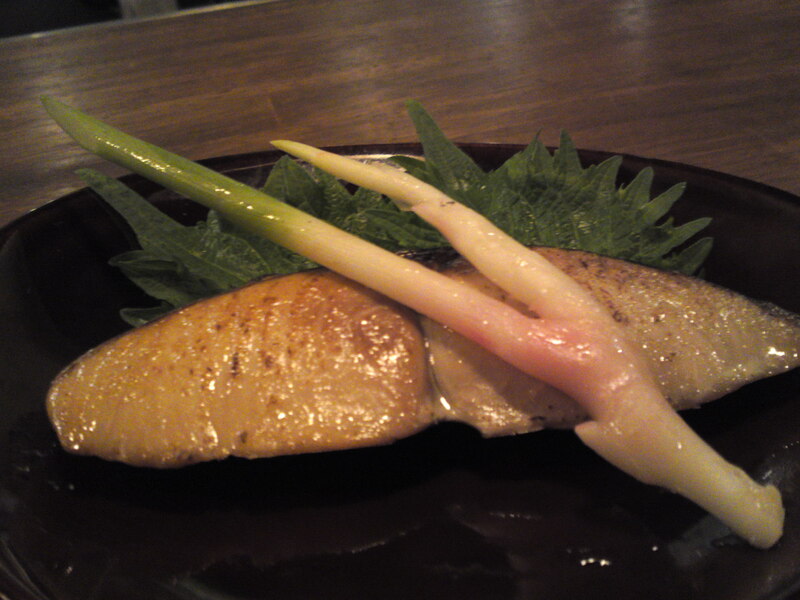 He then came up with sawara/鰆/Spanish Mackerel (it the season in Shizuoka right now), fried with Japanese sake and a little yuzu koshio/柚子胡椒/lime pepper paste and served with a stick of leaf ginger marinated in amazu. Perfect marriage for a great fish! 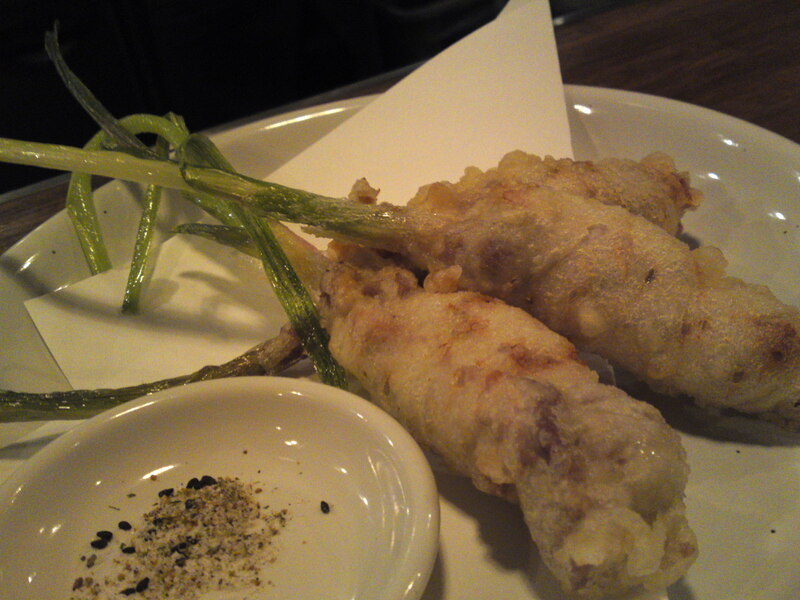 Leaf Ginger Pork Belly Roll Fritters! 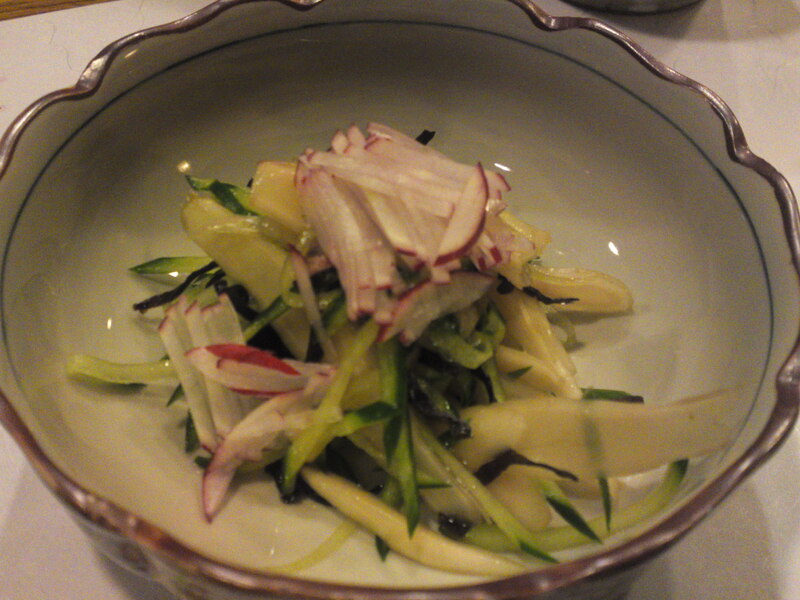 The last dish was a delicacy that Japanese and expats alike would kill for! 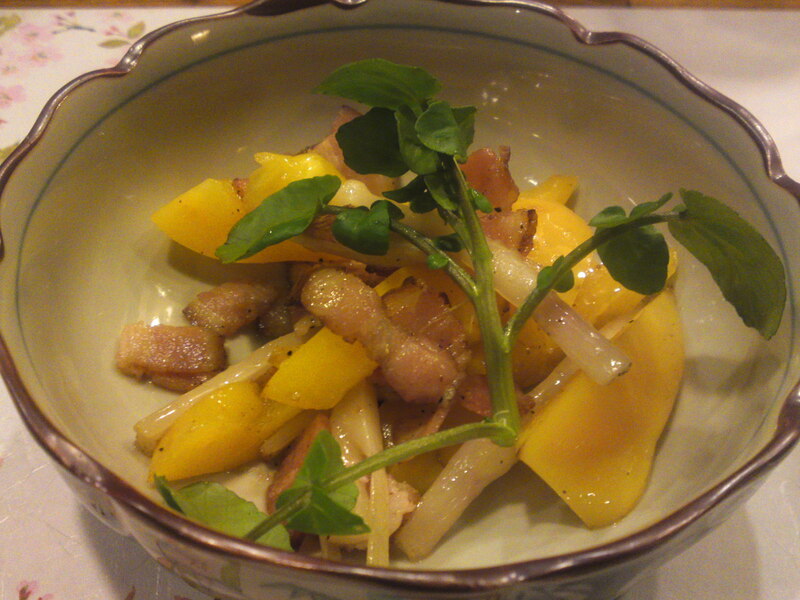 Using thin slices of Shizuoka-bred pork belly, he wrapped them around leaf ginger before dipping them in batter. 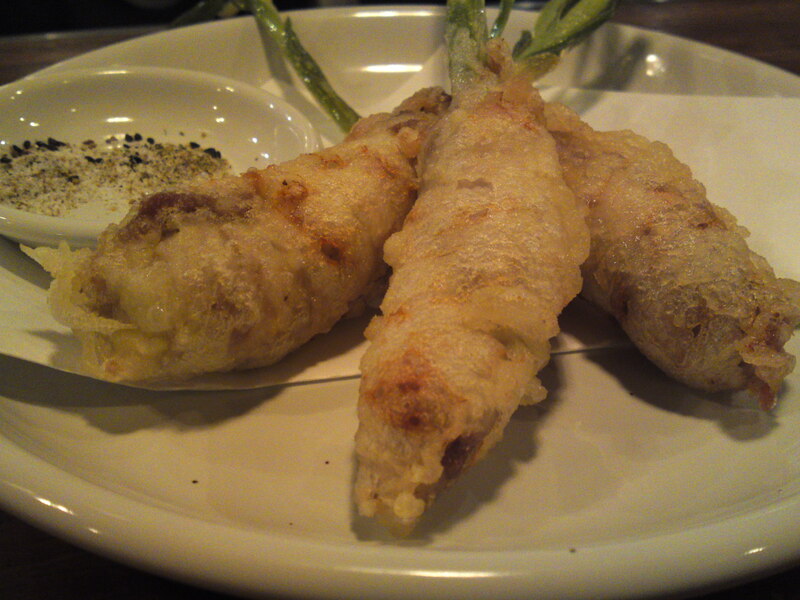 The whole were deep-fried and served with a beautiful salt and pepper mixture. Decidedly, my work for Agrigraph is becoming sheer fun!